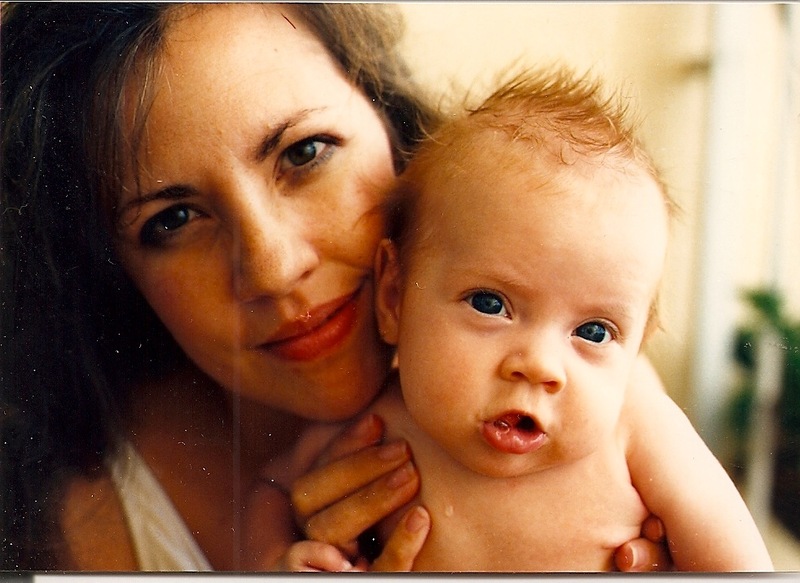 I love this photo of me and my oldest daughter when she was just a few months old. Things over here are going well but every day I feel myself slipping a tiny bit. Luckily I have wonderful parents, an amazing husband, darling children, wonderful friends, and a whole lot of empowering blogs that buoy me up and keep me smiling. Why don't you check out some of them? Ruth Writes about the strength and beauty in each of us. Over at Luxe Chandelier, Steph Anne posts a picture of beautiful self without any make-up on as part of a small confidence movement spreading around the web, head over to Fat Mum Slim to receive a healing dose of empowerment. How do you stay cheerful, even when things feel heavy? Oh what a lovely pic.... I just adore it!!! Hmmmm...my faith holds me strong but even when the heavy times come....I just have to have faith that things will get better....I also look into the faces of my two grandsons and that just makes me light up!!! Stay strong.....you are in my thoughts!!! Oh my. Your blog is beautiful. That video almost made me cry. Wow... Your video is incredibly touching. It made me cry, but it also made my very happy to see because YOU looked HAPPY to be doing it. I love it. I really, really do :) Thanks for stopping by my blog! Thank you for the compliment on my blog! It is so true what you said below about the smallest acts of kindness, right down to a blog comment, can brighten someone's day. I have to admit I primarily read fashion and interior blogs (seems so superficial now!) but you have something really special here and you've obviously touched a lot of people. Lovely post which made me think. I decided friends and family are what cheer me up when I am down. People you can count on! Ahh! you look just like Azure and Brooke in that picture!!! That picture is too cute!! Her spiky little baby hair!! Eek! When I start getting down about life I try to think of people who have it worse than me. Whatever my problem is at the moment there is someone out there whose burden is heavier. That immediately gives me a little perspective and makes me feel grateful for what I have. And soon the feeling of gratefulness starts to lift the weight away. And let's be honest there is usually also candy involved! Sometimes I don't. Sometimes I just let myself fall apart. Then usually, right smack dab in the middle of my meltdown, I will have the weirdest thought that will strike me funny and my brain will automatically run with it until I am laughing at how ridiculous I can be. My sisters think I need medication but I think I like me just the way I am. Normal is just so over-rated. What a beautiful blog and what a precious photo! Love how soft and glowing you two look. Your question caught my eye. I surround myself with friends and family who will laugh with me even when there are tears. And I bake.